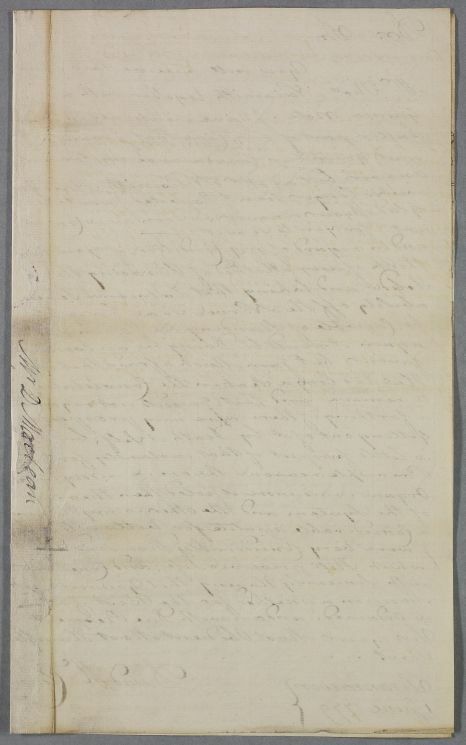 Letter from David McClean, consisting of a short cover letter and a twenty-four page case note on his own case. 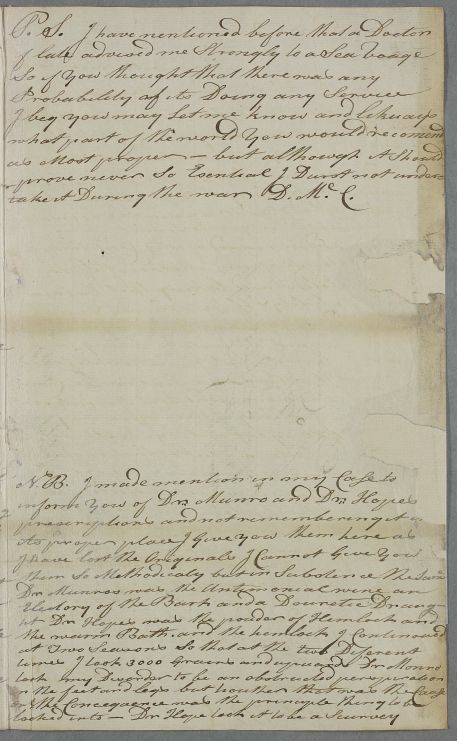 There are 28 images for this document. 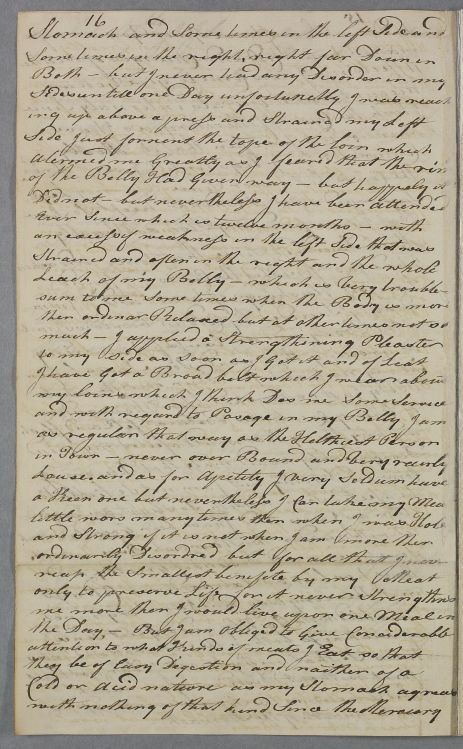 Summary Letter from David McClean, consisting of a short cover letter and a twenty-four page case note on his own case. 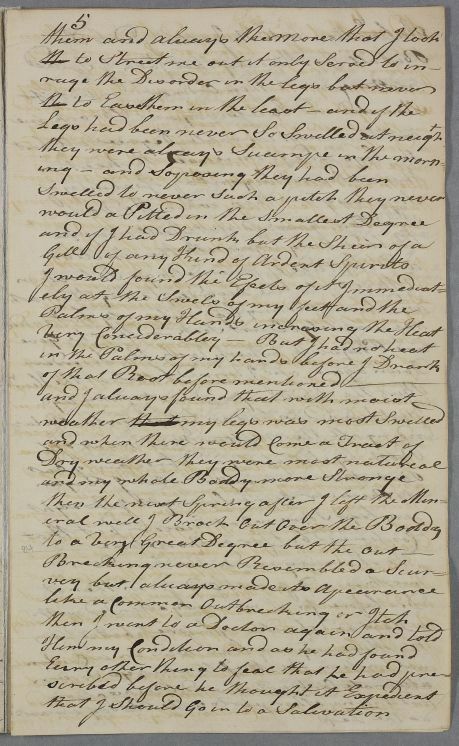 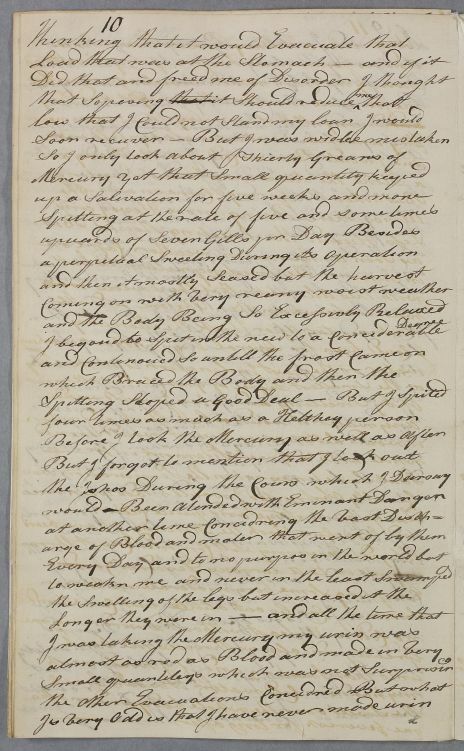 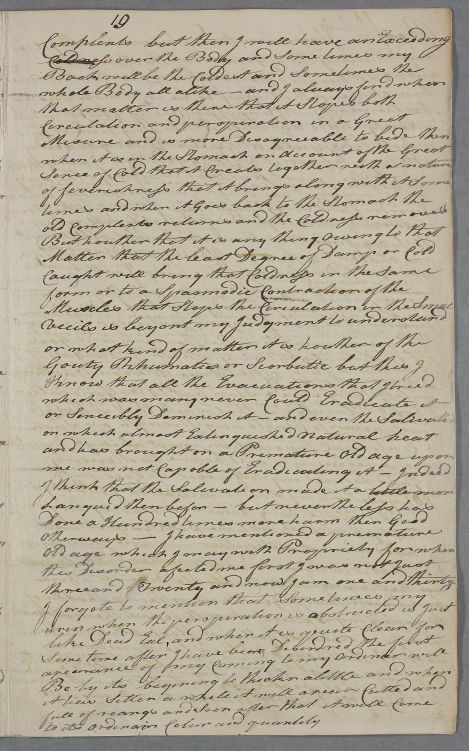 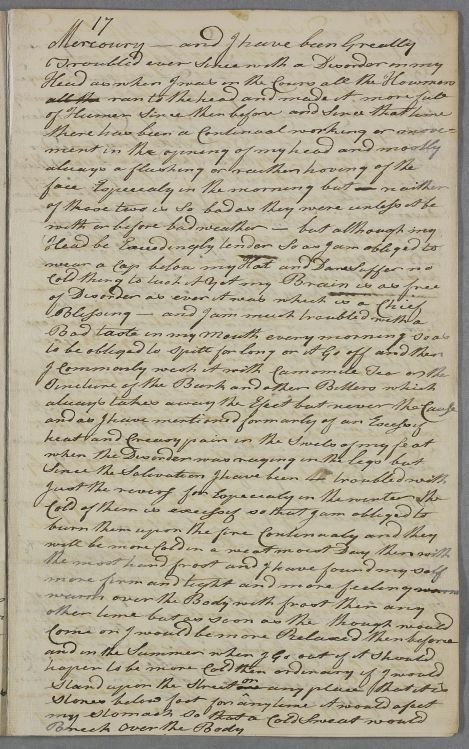 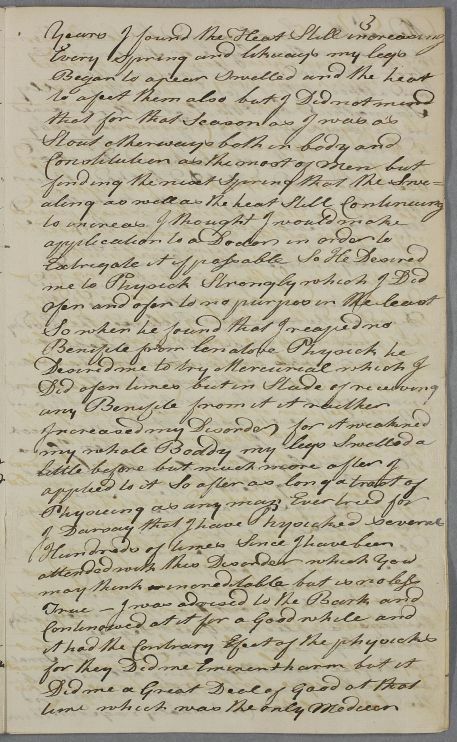 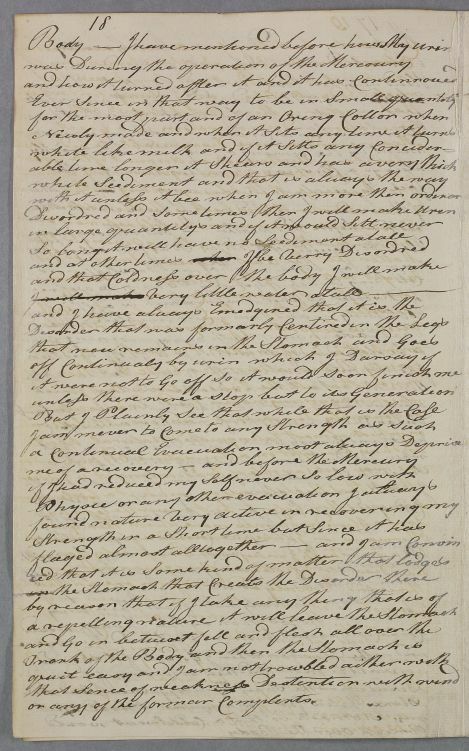 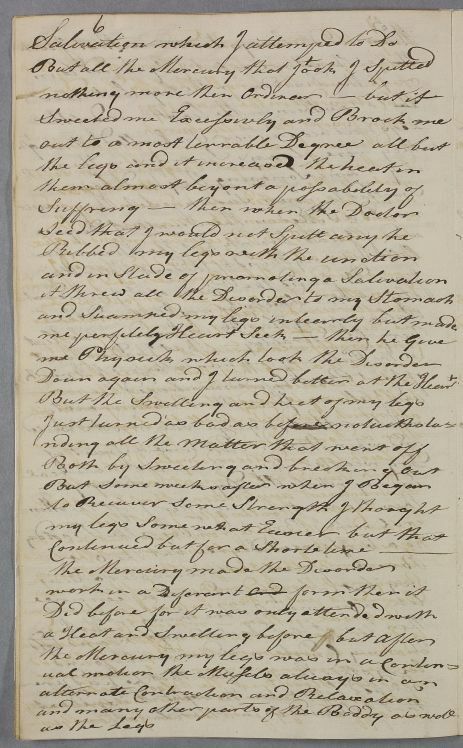 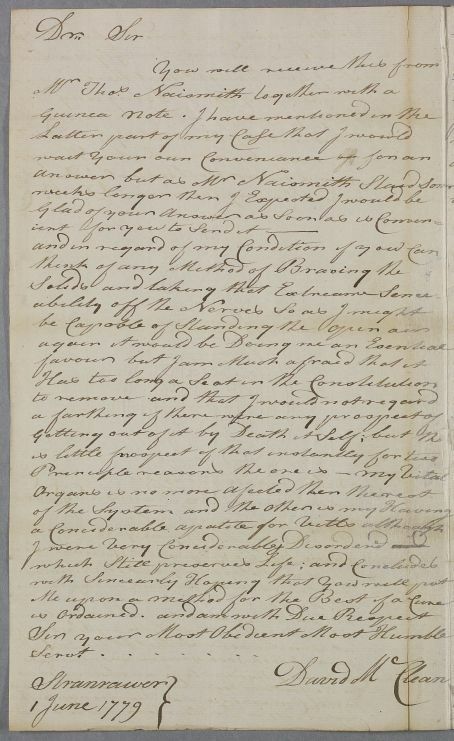 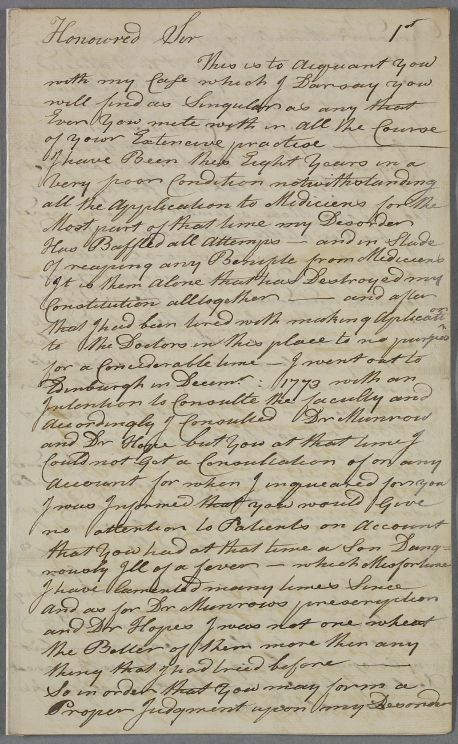 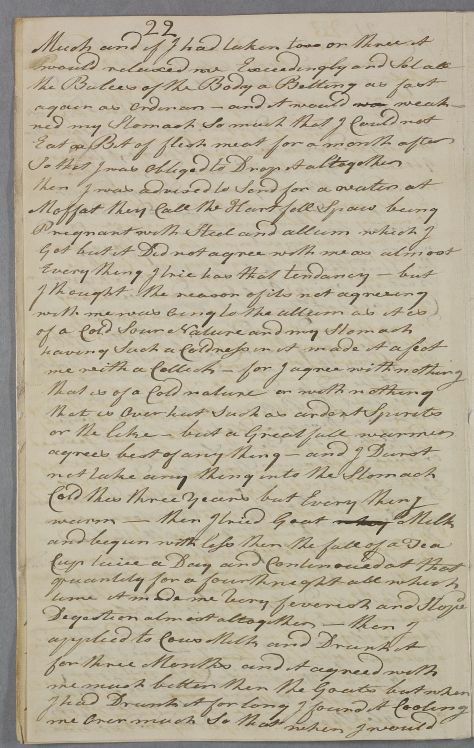 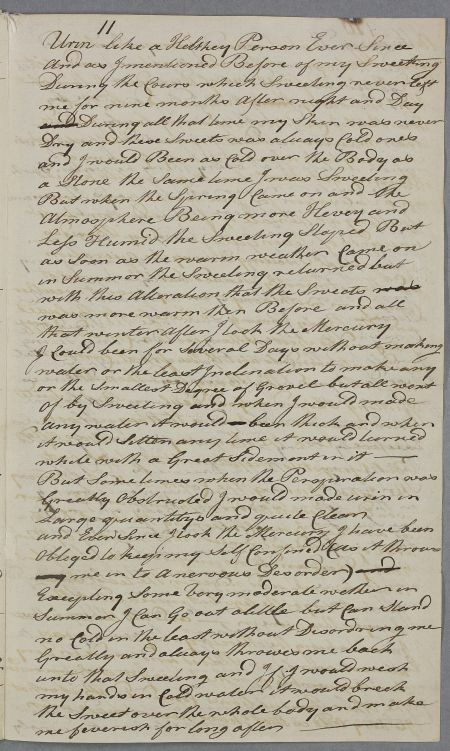 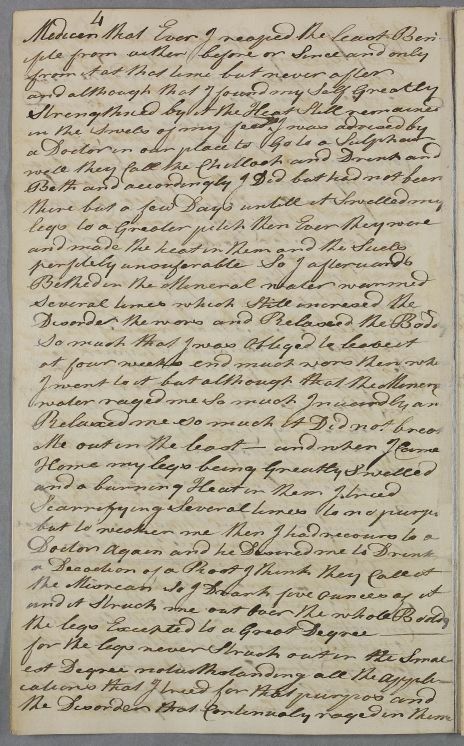 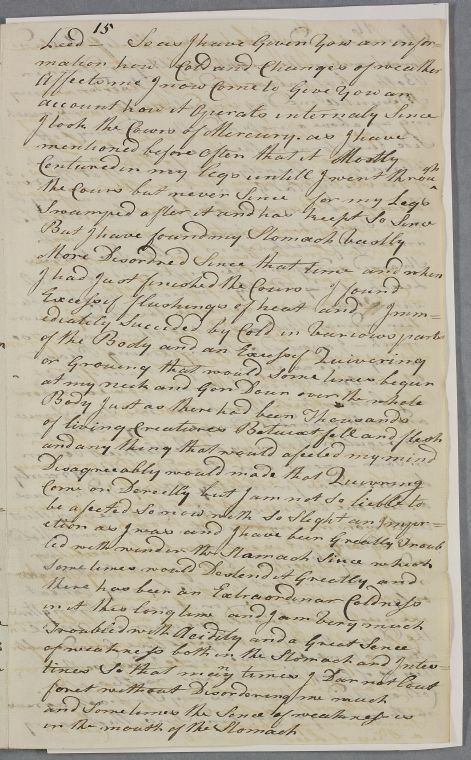 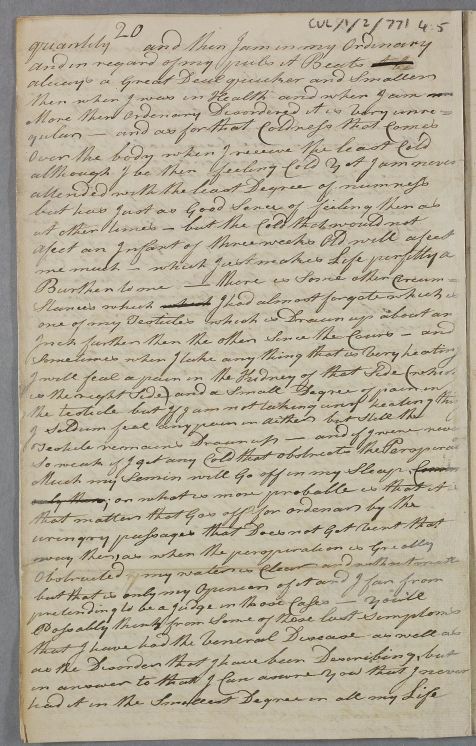 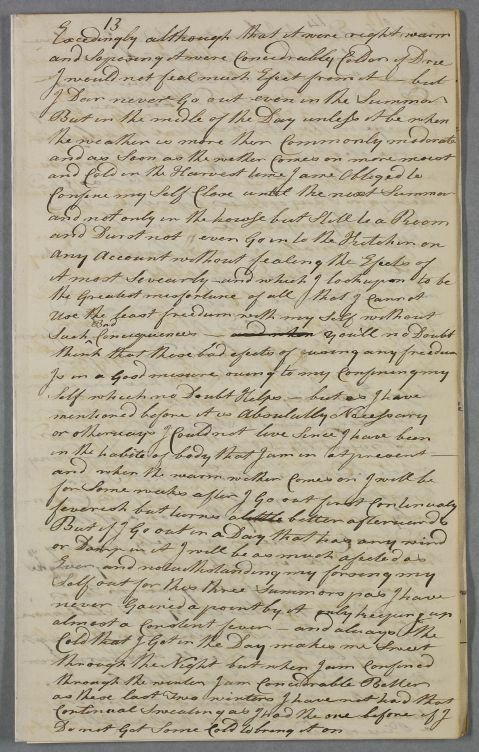 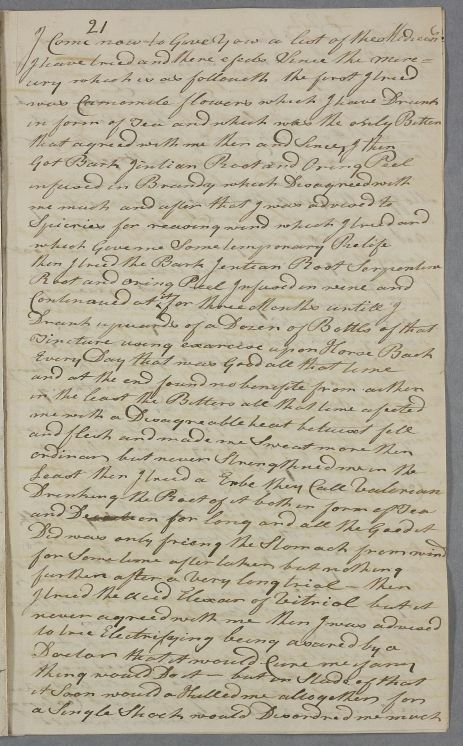 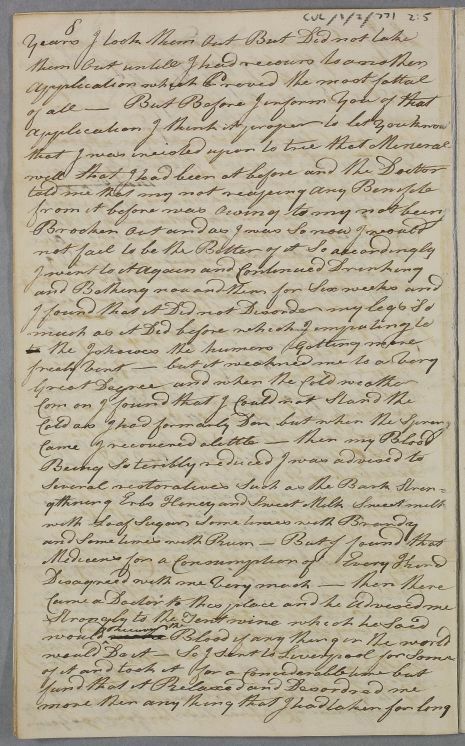 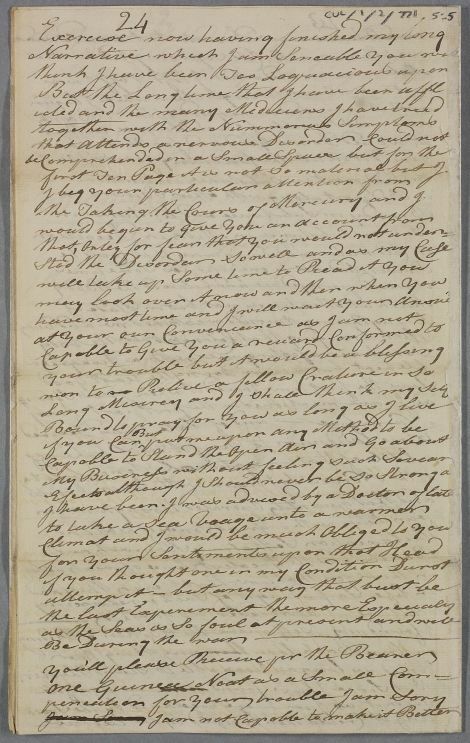 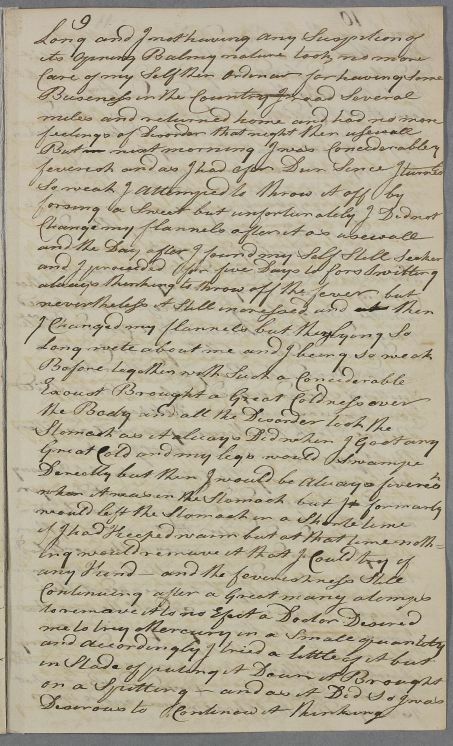 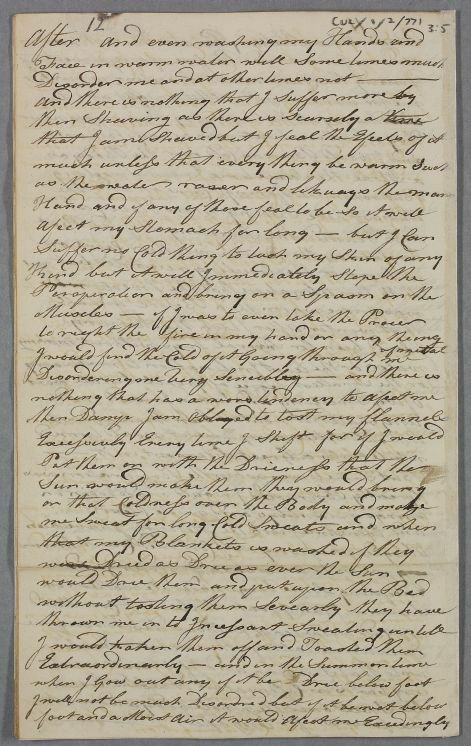 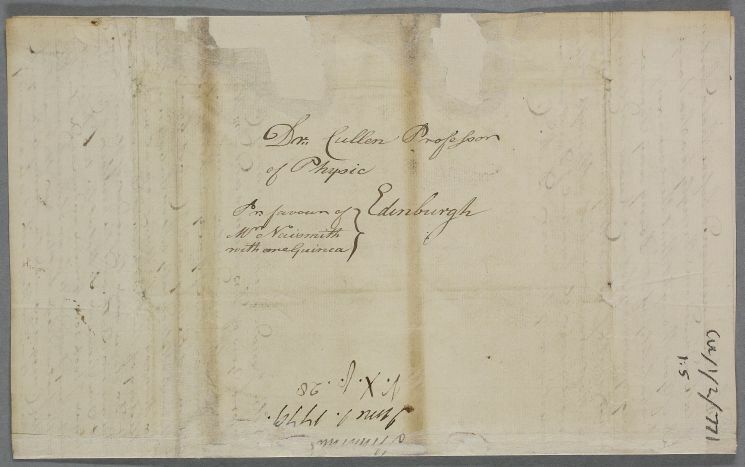 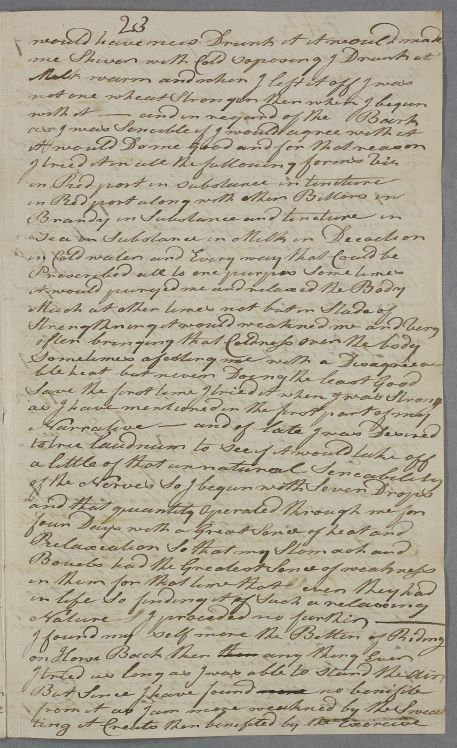 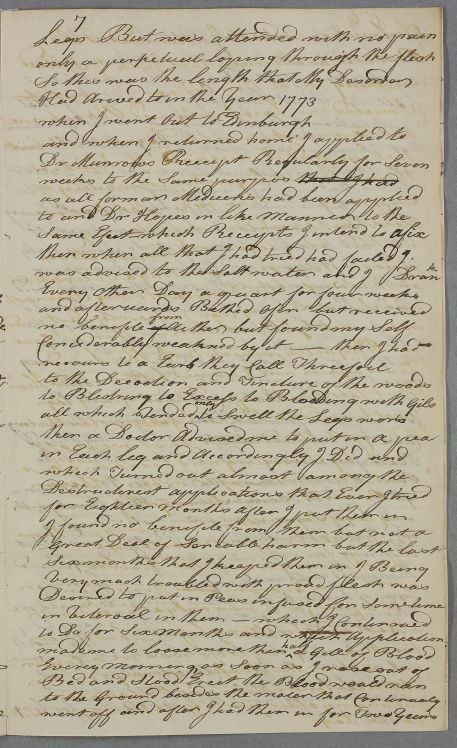 Case of David McLean who sends a very long account of his various 'nervous' symptoms following an injury to his foot; later, in 1784, he contacts Cullen again over the ill-effects of living in a damp house. 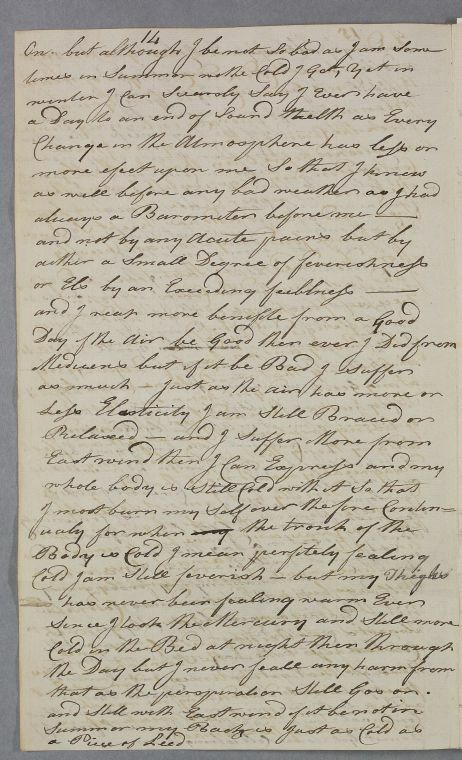 Legs had been never So Swelled at neigh↑t↑"
was advised to the Salt water and I Dran↑k↑"
that as the perspiration Still Gos on . 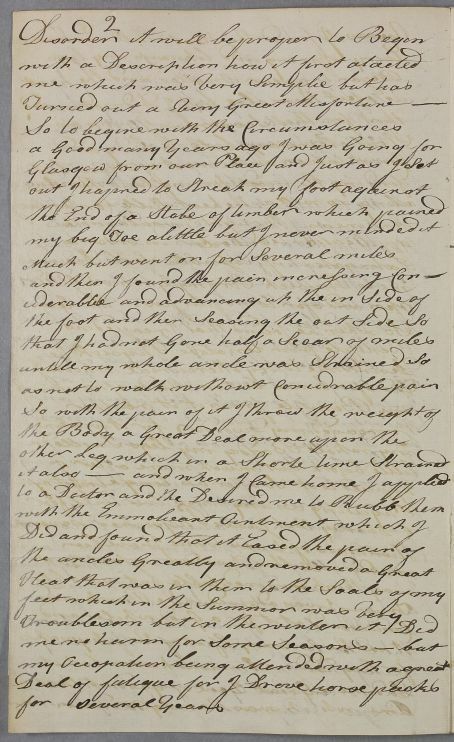 I Come now to Give Yow a list of the Medicin↑s↑"